First of all, a massive welcome from everyone at TPW™ Towers to THE PROTEIN WORKS™. It's great to have you on board, and rest assured from here on, you'll be getting the very best sports nutrition and service you've ever experienced. 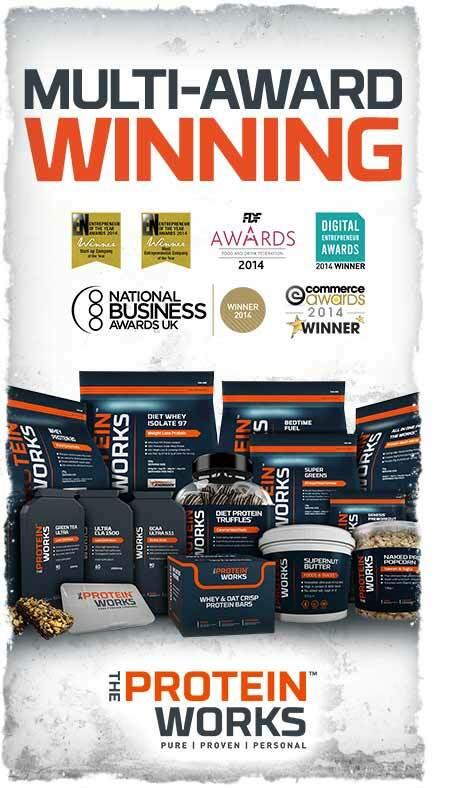 TPW™ is a multi-award winning sports nutrition brand for several reasons, not least because we've launched over 50 new products in the last 12 months and now have a range of over 1,000 products for you to choose from! We believe in nothing but the best. That means 100% finest quality ingredients in every single product we create, backed up by an unsurpassed service from TPW™ Care. We're the only sports nutrition brand to offer a LIFETIME GUARANTEE. Need we say any more? When it comes to breaking new ground in sports nutrition, our talented team are the best in the industry! With years of experience, we're relentless in our pursuit of bringing you exciting new products that re-define current thinking. We didn't come to imitate, we came to INNOVATE. As a TPW™ customer you have exclusive access to the very best deals for our products. You won't need a special card or have to jump through hoops to get any of our deals, they're all sent to you daily so you never miss out. It's just our way of showing appreciation for your loyalty and to help you make some serious savings. We hope you become a long term TPW™ customer and share your experience with others. In the meantime, all the best with your training and goals from everyone at TPW™.